Our holiday home is located in the district of El Ksour, 3 minutes from the Jema El Fna square; Neighborhood secured and very easy to access, which allows an easy and quick exit to the new city by Bab L'ksour. 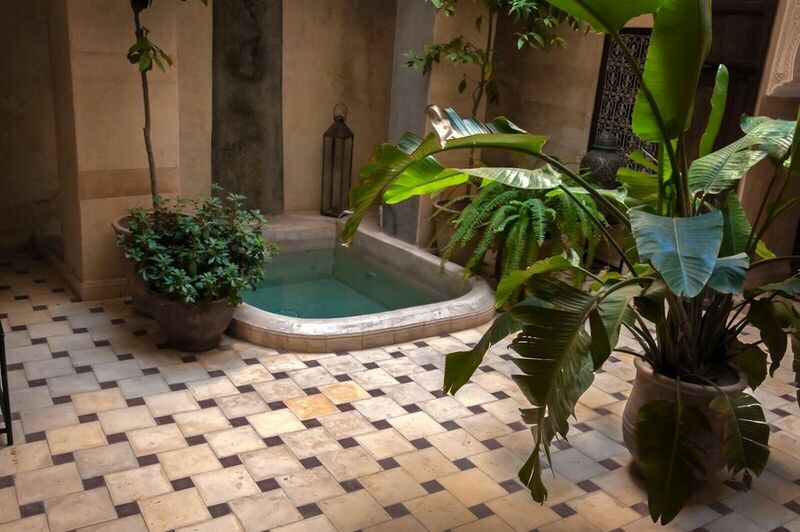 Ideal for relaxing with family or friends in this quiet charming riad a few steps from the bustle of the Jemaa El Fna square and the souks the riad is an authentic Moroccan house renovated, tastefully decorated and comfortable. The three bedrooms each have their own bathroom with toilet and are equipped with everything needed as well as air conditioning. Enjoy a beautiful view from the terrace (solarium) where you can admire the Koutoubia, the Atlas and a 360 ° panorama of Marrakech. Aziza, the lady who takes care of the house will welcome you and will prepare your breakfasts at the time you want. Aziza can also prepare meals on request. The terrace is ideal for taking meals relax under the pergola or enjoy the solarium (terrace). You can also enjoy the patio and cool off and / or warm up in the winter thanks to the jacuzzi. The house can be rented from the room from 35 euros per night for the yellow room, 45 euros per night for the room "zebra", 55 euros per night for the suite duplex or exclusive from 109 euros per night (quote on request). A financial contribution will be required for the use of certain equipment depending on the actual cost (meter reading) or use according to the request.